Great sonic depth and projection with ovangkol's dynamic tone. Though they've been a staple of the Taylor line for years, Taylor's ovangkol 400 Series guitars, like this 416ce Grand Symphony, continue to be discovered and embraced by players, thanks in part to a compelling full-range tone profile that's comparable to rosewood. Ovangkol's natural tonal breadth and dynamic range fit many different playing applications and body styles. An all-gloss body adds a burnished complexion that ties ovangkol's toasted golden color tones together with the buttery Sitka spruce top. 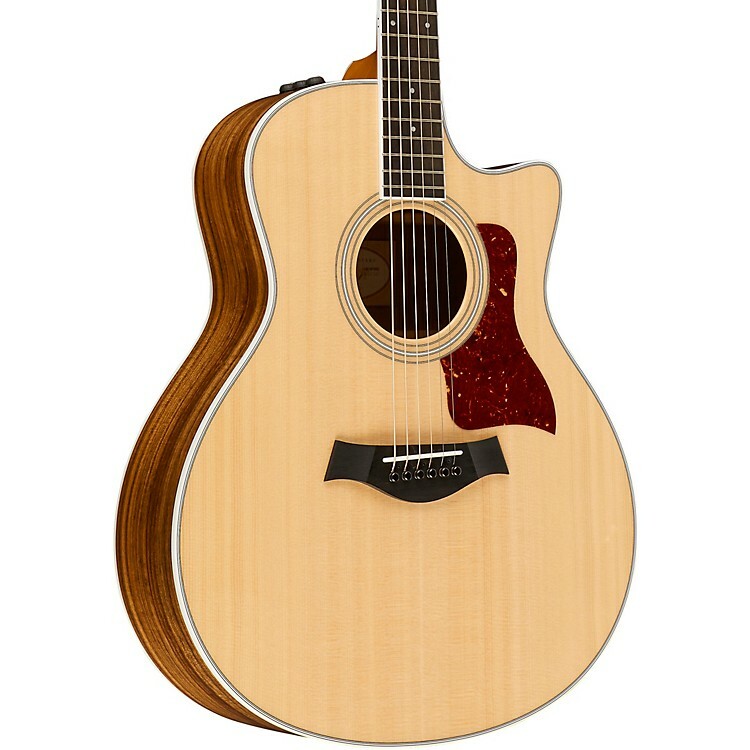 The 416ce ships in a deluxe hardshell case made by Taylor for optimal fit and protection.